Small in size, but big in print quality, the Ultimaker 2 Go is the most powerful little 3D printer around. With durable packaging for safe travels and a backpack add-on, it’s great for makers on the go. Designed for life on the move, the Ultimaker 2 Go is incredibly lightweight and yet has all the accuracy and reliability of its larger siblings. Its intuitive software prepares everything for print in no time. And thanks to its size, it’s all printed really fast too. We’ve also designed a special travel case to make it easy to carry. Don’t let its size fool you. Its lightweight print head is cooled by dual fans so bridging and overhangs are effortless. It’s fast, yet extremely reliable. And with an accuracy of 20 microns, prints are nice and smooth too. 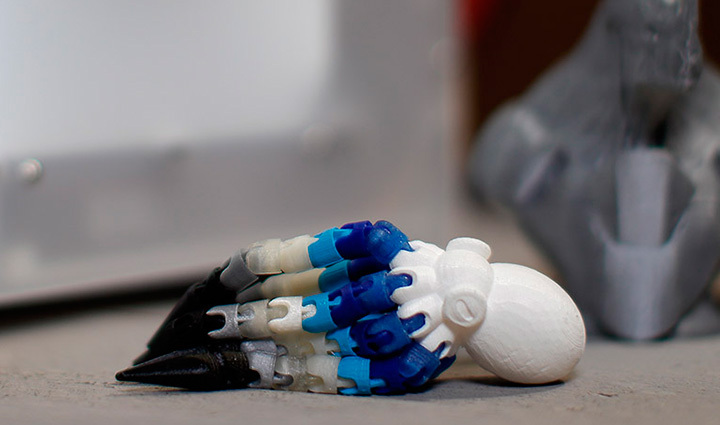 So whether you’re new to 3D printing, or a seasoned pro, you can print more, in more places, with less fuss. 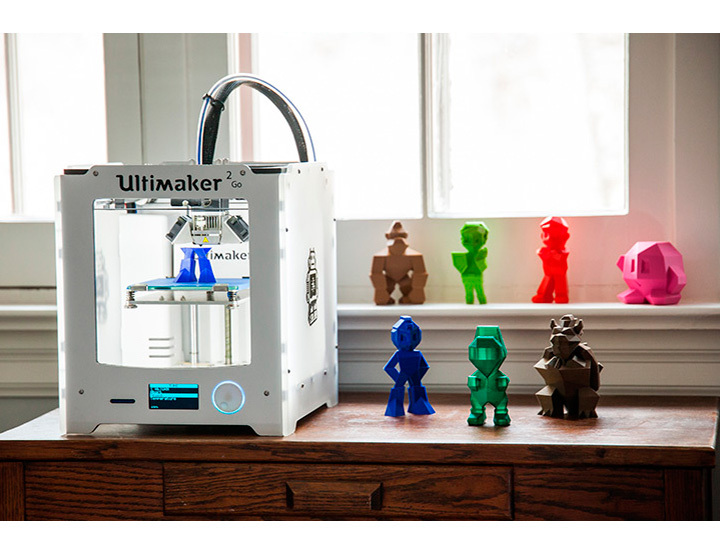 The Ultimaker 2 Go’s compact design lets you quickly and easily print smaller objects. But of course, you can always create larger multipart models too. Throw in its incredible accuracy and reliability, and it’s a recipe for pure imagination.